Defined eyebrows can complete your look and pull all of your makeup together. Eyebrows frame your face and can balance out your facial features. Once you learn the proper techniques for defining your brows, you can create subtle and dramatic looks that will make your eyes pop and look perfect for any occasion. Sumita Batra, CEO of Ziba Beauty, creator of Sumita Beauty/Ziba Beauty brow products and stylist to the stars, lends her expertise on how to best define eyebrows. She emphasizes that one of the biggest mistakes that women make is overplucking their eyebrows. Sumita explains, "Eyebrows should look as natural as possible. Brow artistry is so much more than simply shaping a brow. It is the finishing touches that can really transform the overall look." There are a variety of eyebrow products on the market. It can be a challenge to find the ones that work best for your needs and are easy to apply. "The proper products make all the difference when it comes to brow grooming," says Sumita. "For fuller brows that just need some filling in, a pencil can correct and define brows to perfection." She adds, "Powders are an excellent option for those with sparse hairs because powders work to create shape while giving the look of a fuller, natural looking brow." 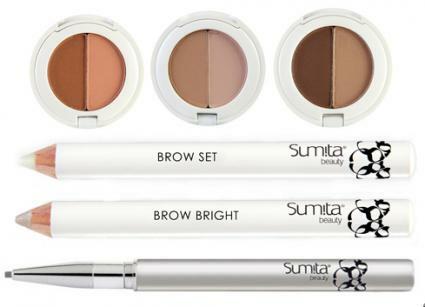 Sumita Beauty Brow Pencil: This pencil is designed to fill in, define and correct brow imperfections. It has a special oval tip that gives you precise control and definition. Sumita Beauty/Ziba Beauty provided me with a sample of this pencil. I personally tried it and loved the results that I got. The tip made it easy to create short lines that blended into my existing eyebrow hair. The formula stayed put all day and did not smudge smear. It came off easily with makeup remover at the end of the day. This pencil is priced around $10 and comes in shades such as chai (light), imlee (medium) and kayla (dark). Estee Lauder Automatic Brow Pencil Duo: This refillable dual pencil is priced around $25 and lines, defines and fills in brows. One side of the tool is a pencil and the other side is a blending brush. Colors available include soft blonde, soft brown, dark brown and soft black. Maybelline Define-A-Brow Eyebrow Pencil: This micro-mechanical pencil is designed in a smear-proof formula that lasts all day. It has a pencil on one end that will define brows and a comb on the other side for blending. This pencil comes in three shades including medium brown, light brown and dark blond. It is priced around $7. Brushes: Not only can a brush lift and separate hairs while grooming, it can put your brows into place. Sumita adds, "Finding one with brush and comb tips helps you groom hairs properly." Highlighters: Highlighters can be used to reflect light and accentuate your brow bone as well as to camouflage any new growth. Sumita states that highlighters can "help to keep brows looking neat and clean between shaping." Concealers: If you need to hide any imperfections or discoloration, a concealer is a must. Wax: For those with unruly brows, a clear brow wax can keep hairs in place all day. Sumita recommends "finding a soft wax pencil that does not flake to finish off brows." Not everyone is born with perfect looking brows. That is why there are so many products on the market to help create the look of defined and polished brows. There are some tricks to keep in mind that will give you look of well-defined brows that are full and natural looking. An arched brow can give your face an instant lift and make you appear younger and more refreshed. The first step in making eyebrows appear arched if they are not shaped that way naturally is proper shaping. Sumita explains, "At Ziba Beauty, our brow artists provide an analysis by measuring brows and recommending proper shaping based on the client's facial structure." She adds, "We believe there is a best brow shape for every face shape." Sumita notes that, "a round face looks best with more of an arch and an oval or square shaped face looks best with a slightly rounded brow which accomplishes a softer look." Once a properly shaped brow is achieved, you can use products to define your brows and keep them in place. Sumita notes that, "often brows will grow down, or can be unruly, which can throw off the look of a well-groomed (and arched) brow line. A brow pencil or powder can create more shape if needed, but be sure to pay close attention to the arch in order to accentuate definition while maintaining a natural looking brow." 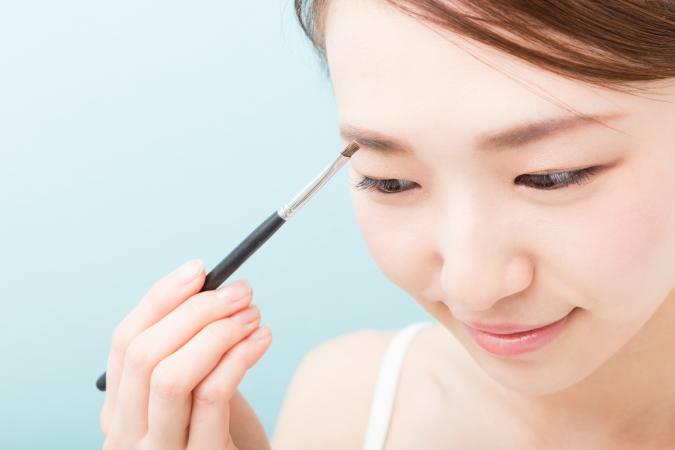 A brush or spoolie (which looks similar to a mascara wand) can be used to groom brows or fill in brow powder. Not all eyebrow products are helpful. As an example, Sumita explains, "Women should not use stencils for shaping brows at home. There is not a universally flattering stencil and every face shape has a best brow shape." Correcting over-plucking takes time. Sumita adds, "Accomplishing the perfect brow takes patience. The waiting time between letting hairs grow in could be difficult but it is important to allow hairs to fill in." Once you begin experimenting with different brow products, finding the ones that work best for you should be easy. Have fun with defining your brows and once you get the shape you desire, try to maintain that look. Sumita mentions, "Brows should be groomed every two weeks to accomplish the best look." If you are having trouble getting the right shape brow, consult a professional and have them define your brows and show you what shape works best for your face.